Built in vacuum systems are becoming more popular in modern homes with every passing year. With owners looking for added convenience, along with reduced energy costs and improved air quality, it’s easy to see why. You’ll find that cleaning your home is significantly easier, more convenient, and you might even end up saving money. Of course, these aren’t the only benefits. Built in vacuums, also known as central vacuum units, allow you to clean the dirt out of the various rooms of your home by simply plugging a vacuum hose into a previously installed inlet. These inlets are added to each room and connect to a central power unit that is installed in an out-of-the-way place in the home such as an attic or garage. When the vacuum is switched on, dirt and debris are drawn through in-wall tubing and ultimately carried to the central power unit. Once there, it is deposited in a bag that can be conveniently emptied out once every few months. There are two main types of central vacuum units for you to choose from: cyclonic and filtered. A cyclonic system uses centrifugal force, not unlike that of a tornado, to separate dust and debris from the air. A filtered system separates the dirt from the air by use of a filter, which needs to be replaced on occasion. When shopping around for a central vacuum unit, you’ll have to decide which of these types you prefer. Central vacuuming units have another major benefit over portable vacuums; they involve a lot less lugging heavy equipment around! To use a portable vacuum, you simply need to carry your vacuum hose and brush into any given room and attach it to the pre-installed inlets. A portable vacuum, on the other hand, has to be carried from room to room and up flights of stairs, leaving you exhausted by the time the work is done. Portable vacuums have to be carried from room to room and, as a result, the engines that power them are small and comparatively weak. Built in vacuums, on the other hand, can be powered by a much larger motor and therefore get your home much cleaner with far less work. Naturally, maintaining healthy air in your home should always be a consideration. Cleaning regularly is one of the most contributors to this; however, standard portable vacuums tend to stir up nearly as much dust as they remove. They end up filling the air with dust, pet dander, and other allergens. A central vacuum unit will eliminate this problem by drawing the dust and dirt away into the in-wall tubing and avoid recirculating dirty air. Ultimately, this renders your air much cleaner and your home far healthier than other cleaning methods. Portable vacuums are extremely noisy; peace and quiet and home cleaning don’t need to be mutually exclusive, however. Because the central power unit is located far away from rooms that you’ll want to keep quiet, such as bedrooms and kitchens, they make significantly less noise in the areas where it matters most. If you’re trying to maintain a green home, a central vacuum system is often your better option. Its increased power means less cleaning, which means less energy used overall. Ultimately, you’ll save on your power bill, as well as see an increased environmental benefit. Of course, the above benefits may seem all well and good, but you may be turning your thoughts to another important consideration: cost. Not only that, having a portable vacuum will end up saving you money over time due to reduced spending on filters, less time spent cleaning, and even reduced costs on doctor’s visits and allergy medications. In addition, having a central vacuum system can actually increase the value of your home as potential buyers are likely to pay more if there is already a built in vacuum. If you’ve weighed all the relevant factors and decided that a built in vacuum is right for your home, what is the next step? First, do a little research. It’s possible there are many businesses in your area offering to install central vacuum systems, and they are likely not all equal. As with any major purchase, it’s important to look into who can do the job near you. Do not automatically be drawn to the one with the lowest cost; as with most things, you get what you pay for. Before making any decisions, it’s critical to check online reviews and look for which business has left the most customers satisfied. Don’t be afraid to ask around and talk with any businesses you are considering. If you want a central vacuum installed, you’ll want to have it regularly inspected, and occasional maintenance and repairs will have to take place, so it’s a good idea to go with a company that offers all of these services, as well as a warranty. 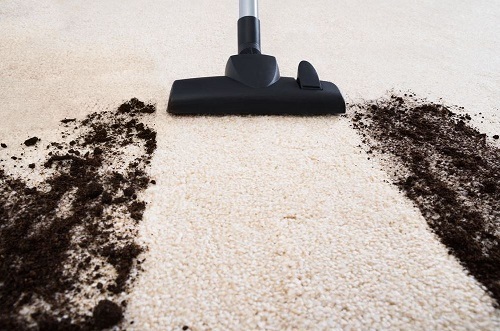 Gary’s VACUFLO is a perfect choice if you’re in the Portland, Oregon area as they offer installation, maintenance, and even a Preferred Customer membership program, which includes free clog removal services, free shipping, and even free replacement bags and filters.